The small size 5 to 75 AMP split-core AC Current Transformers (CT) are mounted around a current carrying wire to measure AC amperage. This CT provides a 0 to .333 Volt AC output proportional to current flow and are used with Onset loggers. 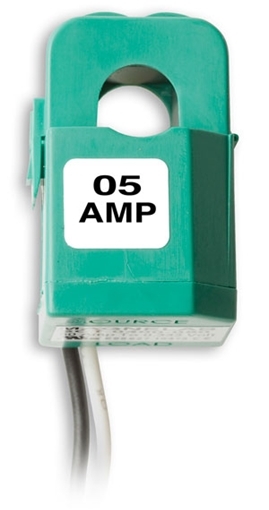 The small size 1-5 AMP split-core AC Current Transformer (CT) is mounted around a current carrying wire to measure AC amperage. 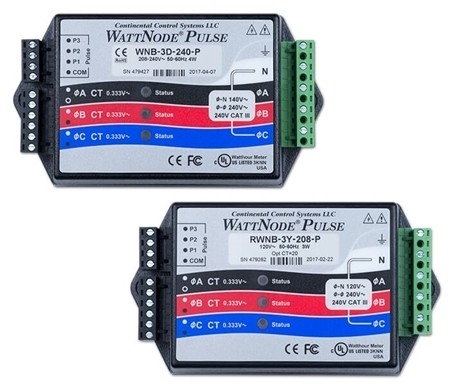 This CT provides a 0 to .333 Volt AC output proportional to current flow and is used with Onset loggers via the FlexSmart TRMS module (Part # S-FS-TRMSA-D) and with kWh transducers (WattNodes) for True RMS measurement of sinusoidal and non-sinusoidal waveforms. The result is an accurate current measurement for many types of electrical equipment. 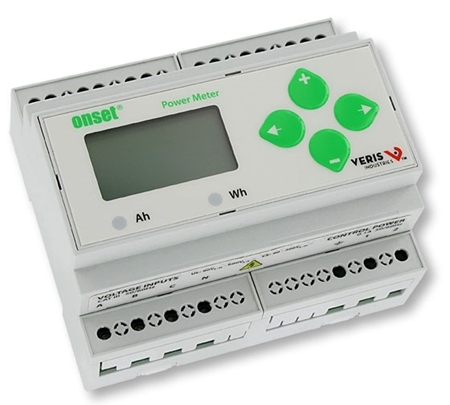 The Advanced Pulse WattNode is a true RMS AC watt-hour transducer with pulse output proportional to kWh consumed. The WattNode provides accurate measurement at low cost to meet your needs for sub-metering, net-metering, energy management, and performance contracting applications.